The worker bees have many jobs inside and outside of the hive, and for this reason they out number the drone bees 100 to 1. Inside the hive the worker bee’s are assigned to the following roles nurse, queen’s attendants, cleaners, undertakers, builders, capper, ripener, and repairers. Like a large factory each bee has it’s own job but together they keep the facility running smoothly with continuous production. Nursing bees are responsible for the young, they care for and feed the larvae making sure new larvae are hatching every 3 days from the 1.7 mm eggs laid by the queen. Those who attend to the queen make sure that she is fed and groomed frequently as she lays up to 2,000 eggs a day. The queen can differentiate between the different sized cells in which she lays her eggs, if she chooses a standard worker-size cell, she releases a fertilized egg into the cell for a new worker bee. However, if she chooses a wider drone-size cell, the queen releases a non fertilized egg and a drone is born. Other worker bees are assigned to cleaning the hive, they clean out used cells and clear any debris within the hive. They are also responsible for cleaning their coworkers of stay hairs or dust. This cleanliness is important to the hive as a microbial outbreak could lead to an epidemic and colony death. Speaking of death some bees are even assigned to the job of undertaker so that bees that die inside the hive are dropped immediately outside the hive to dry. 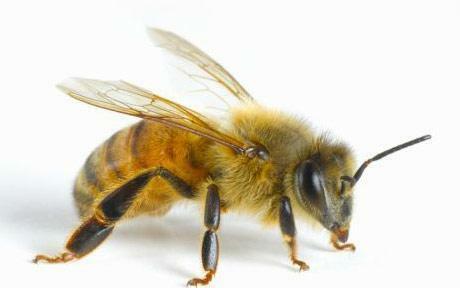 After they have dried, the bees fly them several hundred meters from the hive, and drop them. This prevents dead bees from accumulating by the hive and attracting predators. But cleaning isn’t all the bees do they also need general maintenance for the hive and of course the honey making. Bee’s are constantly building honeycomb often working with 100’s of others to fix or build only a tiny section. Once built some of the cells are used to ripen the honey and others for pollen storage. The bees ripen the nectar in the cells into honey by fanning it until the excess water evaporates. These cells are then capped by capping worker bees once full. Last not not least we have the repairing worker bees that use propolis to close cracks in the hive and cover foreign particles that are to large to remove. It’s a busy environment in the hive of the honey bee, but each bee has its job and these jobs keep the hive running smoothly and efficiently. Keep a look out for the next article on the jobs the bees have outside the hive. Ask The Naturalist: Why Do Honeybees Clean Themselves?